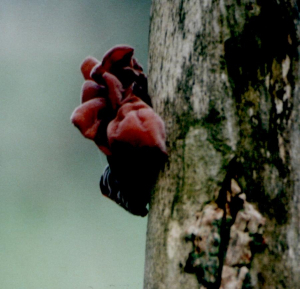 Observation - Jelly ear/Jew's ear fungus - UK and Ireland. Description: I'm not sure what the present English name for this is. The older books call it Jew's ear fungus but the most up to date one (published 2009) calls it Jelly ear. I'm not sure what the present English name for this is. The older books call it Jew's ear fungus but the most up to date one (published 2009) calls it Jelly ear.